Dark lights, cheap drinks, and colorful characters are what make dive bars special. Each one is a glimpse into the heart of the surrounding neighborhood, and these reveal San Diego's depth of character, grounded in its nautical, port-city history. 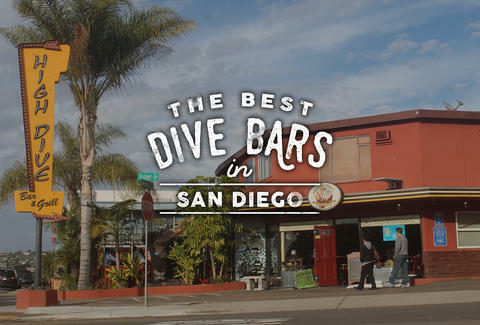 So for those nights you don’t feel like paying a $20 cover charge and just want to relax with a cheap drink amidst traditional sailor tattoo flash and ship remnants, here are the best dive bars to unwind at in San Diego. If the boat’s a-rockin’ you’ve probably had a few too many of Kenos’ dirt-cheap well drinks. 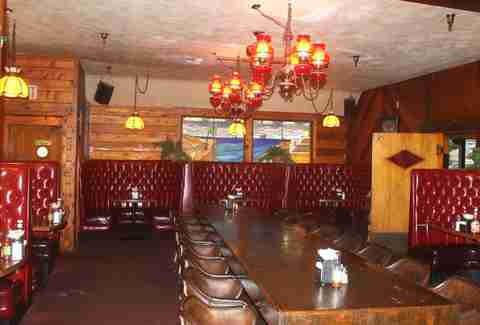 The interior feels like a wooden pirate ship -- it’s dark with plush red leather booths and, if you’re lucky, a few crusty-looking sailor types. This place doesn’t start seeing a younger crowd until at least 10pm on a Friday or Saturday, which is unfortunate, seeing as last call is at 11pm. No fear, Encinitas has a plethora of late night joints open until 2am, making Keno’s the perfect jumping off point. High Dive is the dive for craft beer lovers with more than 20 local draughts and regular tap takeovers showcasing local breweries. It’s got pinball and a good amount of TVs, making it a good spot to watch a game, since ain’t NOBODY making the drive up to Carson City for a Charger game (if that does, in fact, eventually go down). Home to drinks like the Hello Kitty Duck Fart, Tower Bar is just about as unpretentious as it gets. Named after the tower that sits above it, it's half dive bar, half music venue. Don’t go expecting to hear a lick (or beat?) of EDM or pop radio jams -- it’s pure rock n’ roll. 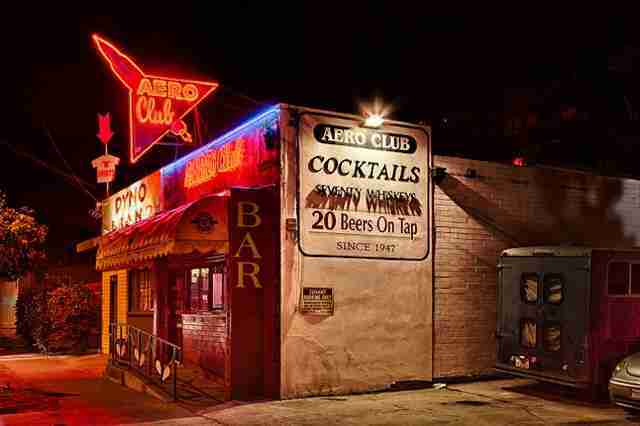 If you’ve been to the San Diego Airport, there’s a 95% chance you’ve driven by the Aero Club and its bright red neon airplane (it's tough to miss). It’s what is inside this venerable dive that makes it a must-try: the bar is home to more than 800 different whiskies, making it one of the most absurdly well-stocked whiskey bars in America. 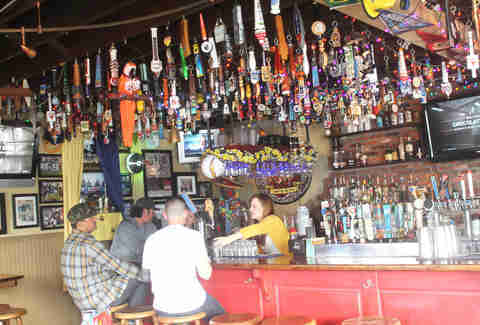 Perhaps the only place in San Diego with an early morning happy hour, Silver Fox opens its doors at 6am offering Bloody Marys and screwdrivers. It's the less clean Sunday brunch version of a hangover cure, but it’s a dive bar, so no judgment here! There are also a ton of games, including pool, darts, and a pinball machine, making it a good place to hang out in the evening, or daytime, too. Really, there's no wrong time to hit the Silver Fox. 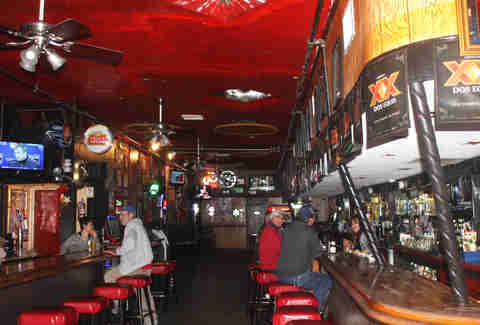 Located in the Gaslamp, Star Bar has stiff, cheap drinks and low lights. Vintage tattoo flash lines the walls while ships sail above on the ceilings, throwing it way back to a time when the Gaslamp’s biggest clientele was a bunch of sailors. If you want to escape the rowdy PB scene, head over to the nautically themed Pacific Shores. 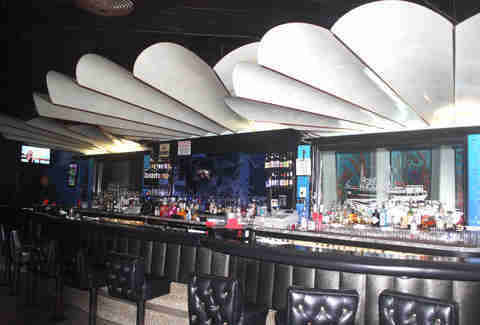 There's almost always an empty table, and you can nab a drink for $2.50, all beneath giant clam decor that feels straight from the '80s. This may not be the spot to bring a date, (although what dive bar is?) but for a chill night catching up with friends, this place fits the bill. Ellen Wright is a freelancer at Thrillist who hopes her mom doesn’t see how much she knows about the local dive bars. Follow her on Twitter: @PacificPolished.